MithraSIG new version is now available ! 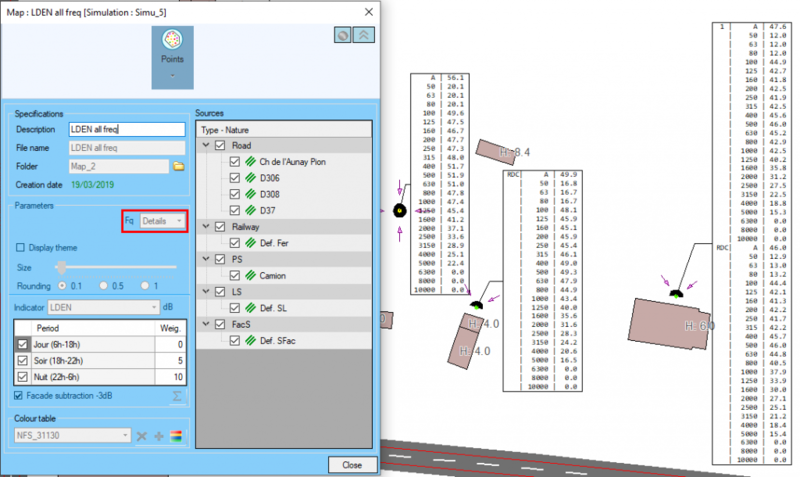 Geomod > News > Land geomatics > MithraSIG: New version! More and more ground are grids (ASC Format) with millions of points. A new parameter was added to optimize MithraSIG ground creation. This new Z accuracy parameter reduces the number of ground points with a very limited lack of precision. It reduces points considering a maximum tolerated gap between the initial data and MithraSIG ground. An altitude comparison is done for each point between a complete data triangulation and an approximate triangulation while remaining inside the tolerance. The result thus obtained represents the ground feature points: thalwegs, crests (mounds), summits, hollows, break points (banks). 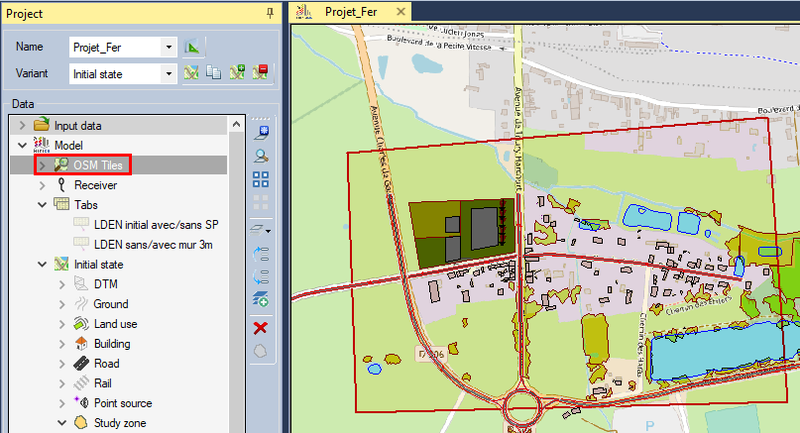 In this version, created maps appear in color (green or purple) in the project window. Green color means that the map is synchronous with the simulation and can not be updated. The simulation has not rerun since the creation of the map. Purple color means that the map can be updated, the simulation has rerun after the map has been created. This version enables to visualize the triangulation associated with any completed simulation in the form of polygons from a specific overlay. This triangulation is the internal model used to calculate the 3D sections of the calculation paths. 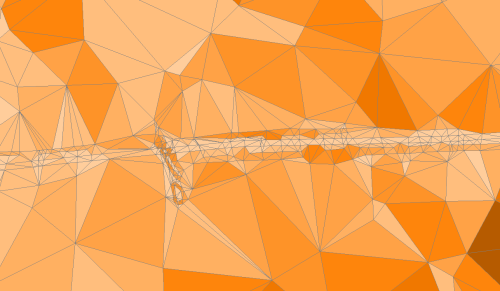 Each triangle edge intersected by a calculation path adds a point representing the terrain to that section. A gradient of color is displayed according to the slope of the triangles ; flat triangles appear in white and triangles with a slope greater than 10% appear in dark brown. This allows a better analysis of the calculation ground effects. Addition of the option Details to the renderings of simulations whose sources storage is by frequency. It allows to show all frequency in a table label. Each frequency is on a single row. The overlay displaying the Open Street Map background map is now located in a specific MithraSIG overlay in the Model data list to make it more accessible.